Home Cebu Pacific Promo Airphil Express Pit Senyor Fare Promo! Airphil Express is at it again, this time for the celebration of next years Sinulog Festival! 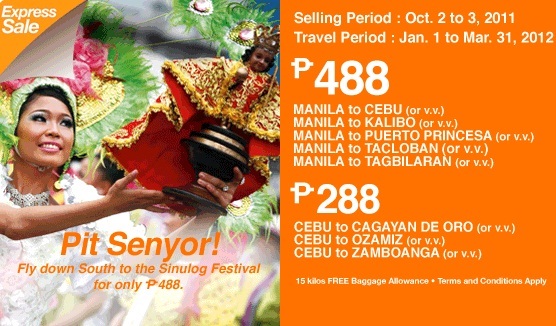 Selling period does not only cover the Sinulog Festival on January but also for the succeeding months after.